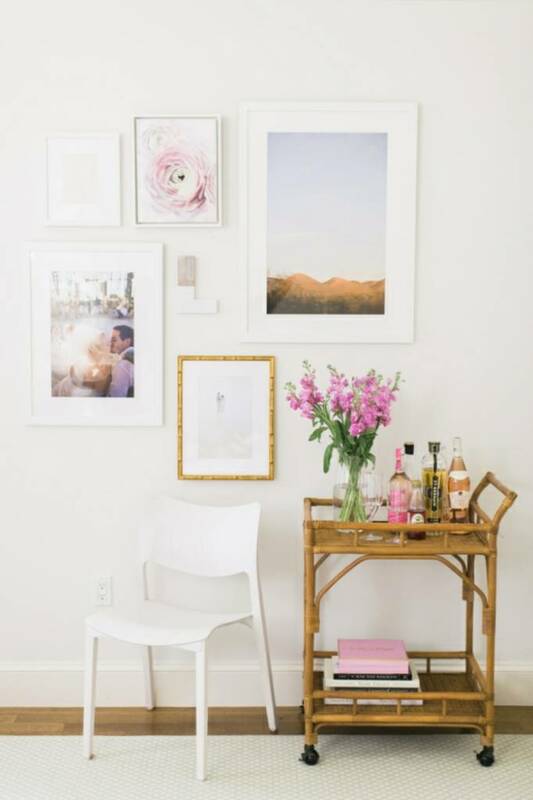 Here's 5 ways to simply en efficiently brighten your white walls. agains a white wall. It's a stunning way to showcase your personality. When you are about to hang them, think about the disposition of them. If you hang them above furniture, leave a gap so you leave enough space to le's say sit on your couch. Don't make the common mistake of hanging them way too high or way to low; at eye level is always a nice place to start. Too add a cozy feeling and texture to your all-white room, macrame will rise up to the occasion and will warm your space up each time. It's the perfect moment to finally splurge on the piece of art that's been in your wish list forever. A few canvas will add fun and vivacity to your space. Statements mirrors will add the special touch that you need and that makes all the difference for rooms in need of a personality. With them, simplicity is key so let them be the focus in your room. Colorful curtains and furniture will instantly give your room the pep it deserves. so leave blend pieces of furniture behind and splurge on unique ones that you will cherish for a long time..
With these tricks in mind, your white walls will be far from being boring !